On Sunday, Aug 17th, 2014, I had the opportunity to cycle the Highway 404 extension from Green Lane in East Gwillimbury to Woodbine Ave/Ravenshoe Road in Georgina before it opened to traffic. 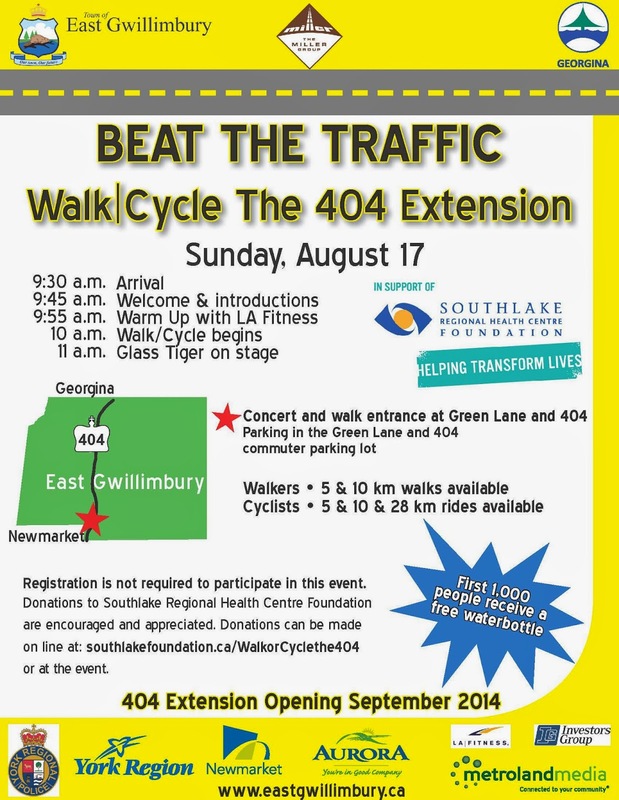 What a great idea for a community event in support of Southlake Regional Hospital. 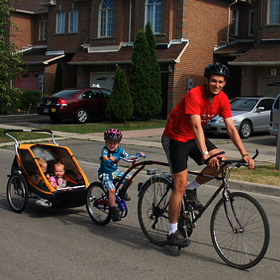 The 26 km roundtrip through the countryside was envigorating, particularly in seeing so many families out on two wheels! There was an impressive turnout of both walkers and cyclists, and the starting location was only announced a few days prior to the event. - I did a quick helmet count that showed about 75% of adult cyclists were wearing helmets. - Glass Tiger has some awesome hits. Takes me back to my youth! Looks like it was a fun event. Sorry I missed it.